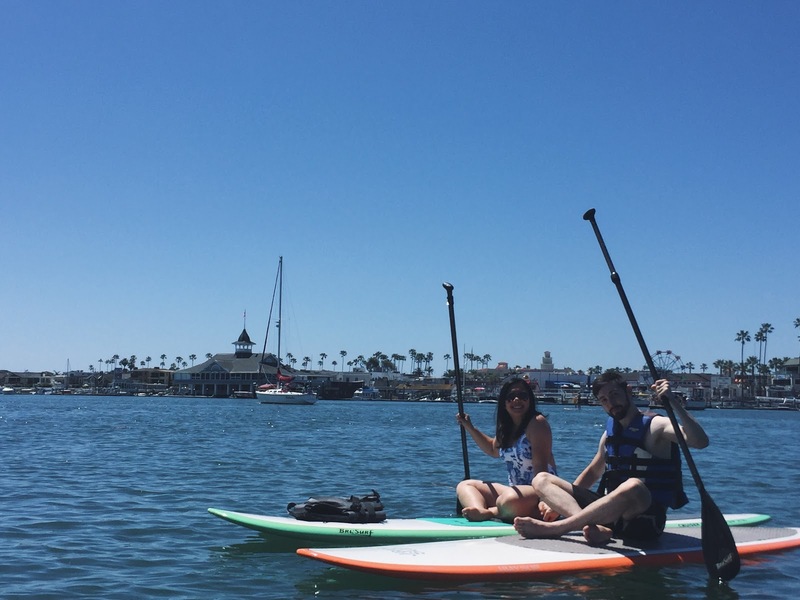 On our second day staying at Newport Coast, we drove over to Balboa Peninsula where we went stand-up paddle boarding (SUP). 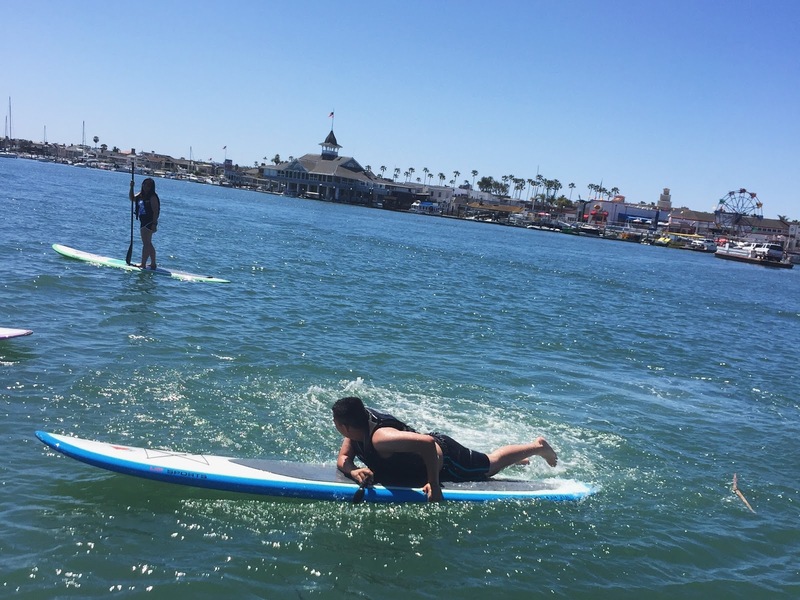 We rented the boards from Paddle Board Newport Beach through their Groupon offer. Since the parentals didn’t want to go, all the hip & younger generation (haha!) went. 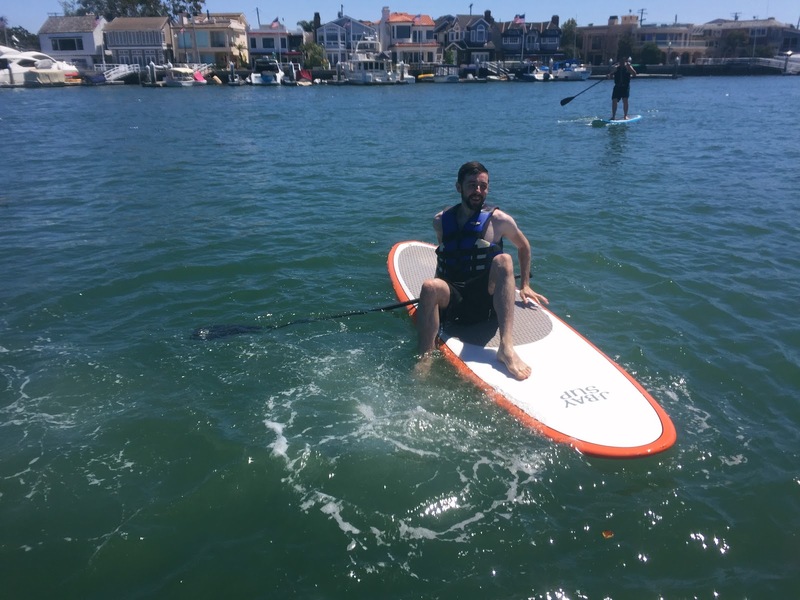 I’ve always wanted to do SUP so it’s nice to cross that off my bucket list! Huge shoutout to my waterproof case that I mentioned in the previous post. 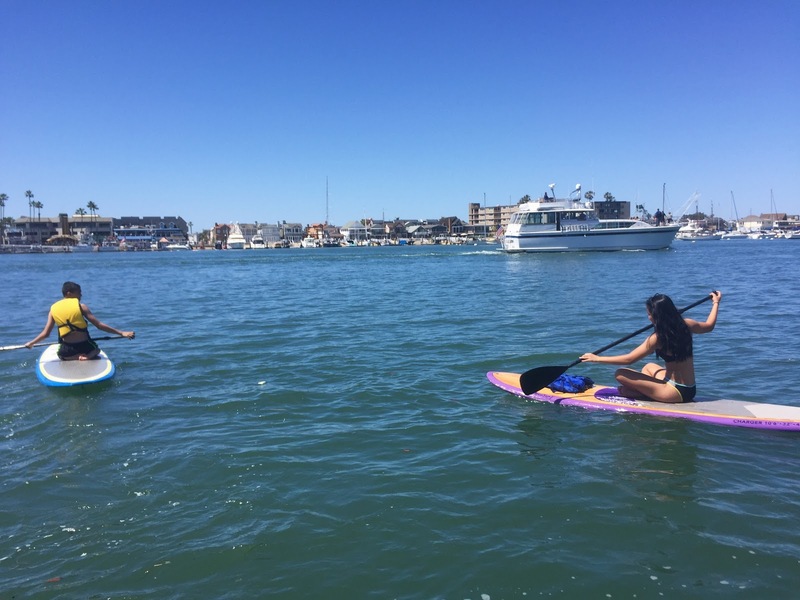 Balboa Peninsula is a small inlet that connects to the Pacific Ocean; however, we were only allowed to do SUP within it and not venture out to the ocean – to be honest, I wouldn’t want to do that. We all fell once, except Angie. Krystle tried to topple her over her board but it didn’t work out. It was pretty cool because as we paddled through the peninsula, there were sea lions swimming right next to us! 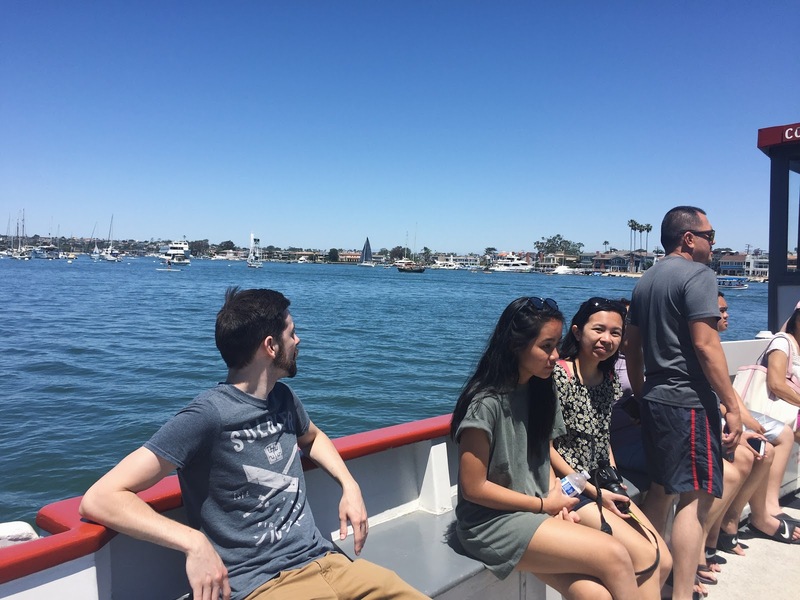 After our two hour rental, we rode the ferry to Balboa Island where we had lunch at Ciao!, a local Italian restaurant and explore the place for a bit before heading back. 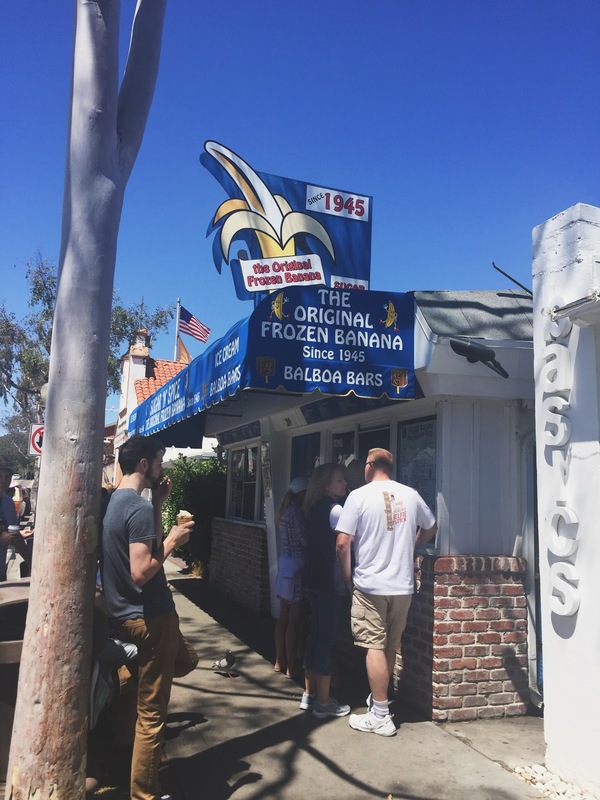 We came across this frozen banana stand – if you watch Arrested Development, you are well-aware of the Bluth’s Original Frozen Banana Stand, which is pretty much a copy of this. Oddly enough, nobody tried the frozen banana – we got the frozen cheesecake, the original bar and Chris & I shared an ice cream because he’s allergic to bananas and the toppings were pretty much contaminated with bananas. That is so cool about the sea lions! Would you recommend SUP? I have always been worried about it since I am not the most coordinated. Wow it's so beautiful and look like so much fun! IM CRAVING SOME TREATS FROM THE FROZEN BANANA STAND!!! But seriously that cheesecake was surprisingly good!!! 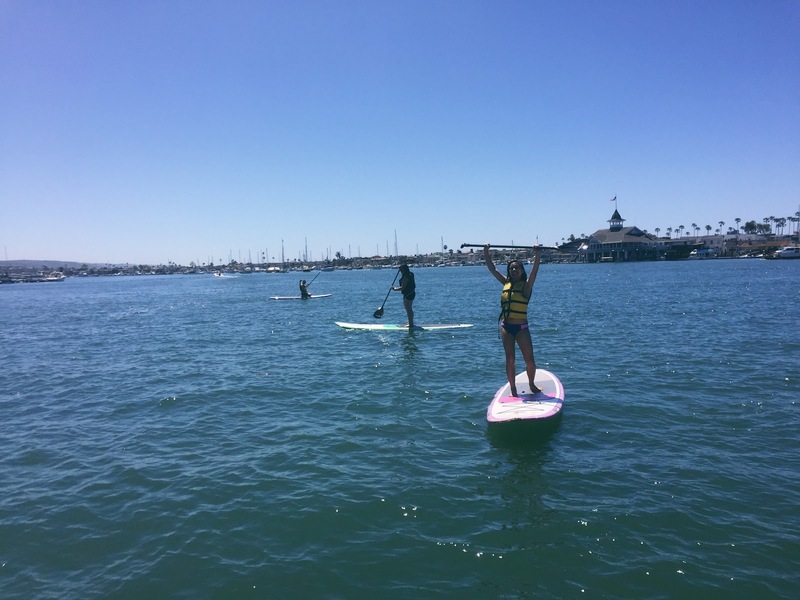 I'm dying to try stand up paddle boarding! And you can swim with SEA LIONS?! Sign me up! Although I am a little concerned about falling in the water since it's FREEZING right now. Looks fun! 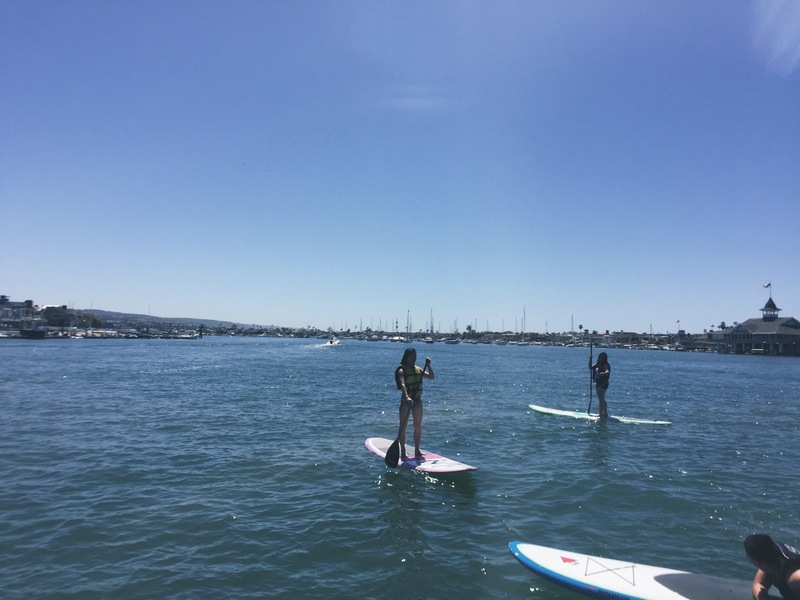 I've always wanted to do standup paddle boarding too. I fear I'll topple right into the water though haha. Great post! Looks so fun! This looks like a blast! I'd be too scared to paddleboard out in the open ocean, too, even if it was allowed. Hi Natalie! 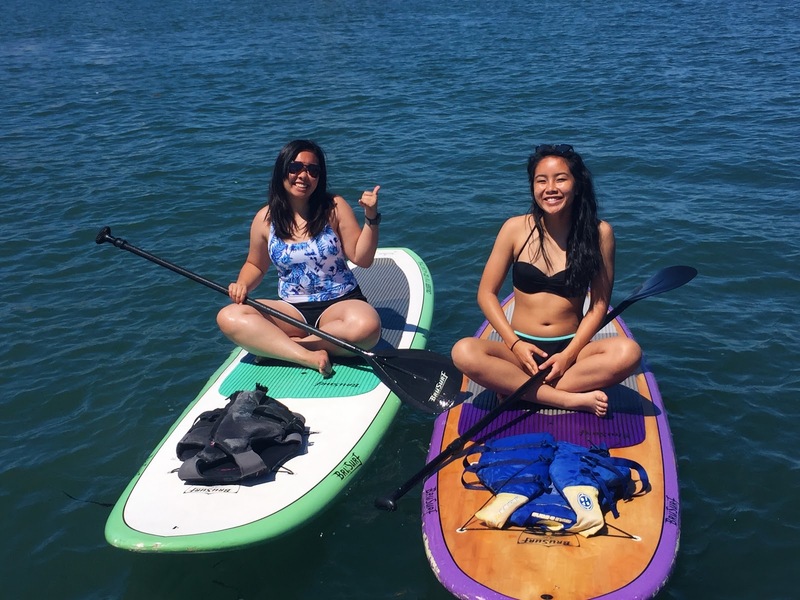 🙂 I'm one of Eena's cousins that want SUP-ing, and I'd definitely recommend trying it at least once! I'm pretty uncoordinated as well, but the board is quite sturdy so it eventually gets easy to balance on it! Also, on your first try, you can sit and paddle, and gradually go from there to kneeling then standing–it helps a lot! I've always wanted to try stand-up paddle boarding, so jealous! Looks like a lot of fun. aaaaahhhhhhh i wanna try SUP! and yes, i'm totally jealous about the sea lion T_T frozen banana too, man. ah damn what a vacation, eena! Aw shucks, Nancy! You're too nice :3 Disneyland is one grand & endless adventure though! That's so cool! I've always wanted to try paddle boarding but I'm afraid that I'd keep falling off of it lol. Seeing your post definitely makes me want to try it out even more. Frozen banana stand sounds delicious but it sounds like you guys picked pretty tasty treats, hello cheesecake! Oh my goodness! I can't swim so I'm not sure how comfortable I'd be on a board in the water. However, this looks like so much fun! He's allergic to bananas?! I've never heard of that, haha. 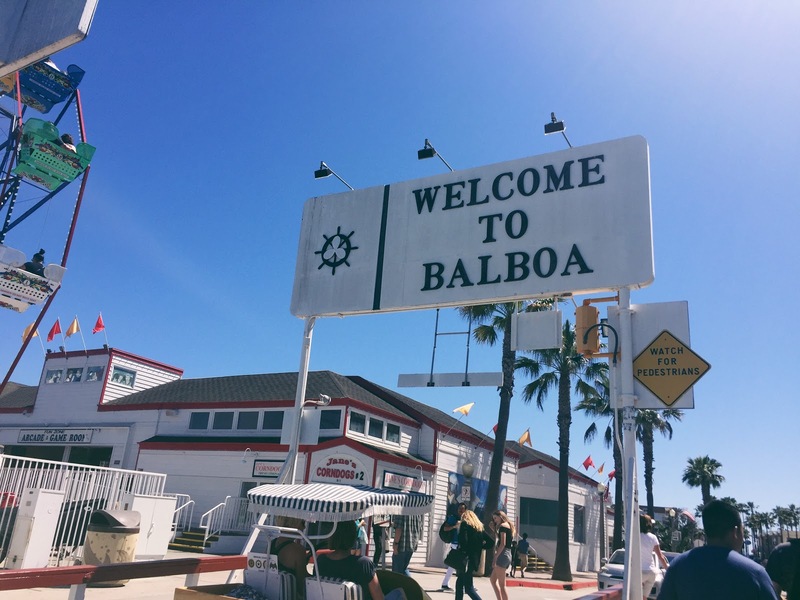 Balboa sounds amazing and your pictures are giving me major wanderlust! Oohh I've always wanted to try SUP! Looks like an awesome time, especially doing it by the sea lions! This makes me wanna try SUP, too! Is it hard to balance yourself on the board while standing? Anywaaay, this looks so fun! Paddle boarding looks fun. I've never tried it. I tried surfing once and it's so hard. It's definitely one of those things that takes awhile to actually be good at. I can't believe none of you tried the frozen banana. There's always money in the banana stand!